Having walked the Anglesey Coastal path recently there are a few helping hints that I think would be useful to anyone thinking of doing this fantastic walk. In the main we have done day trips from our home in Cheshire which has meant we have used the local infrastructure to get from A to B and then back to A. Here are my 20 tips. 2. 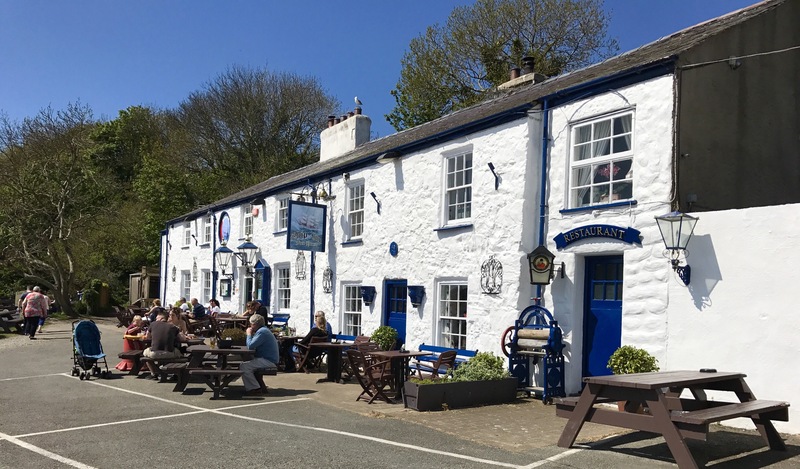 Pentraeth car park – this car park is situated in the middle of Pentreath and makes a great place to park if you are walking any any section from Moelfre to Red Wharf Bay or vice versa. It’s free and the bus stop (no 62 ) is 10m away depending on which way you are travelling. 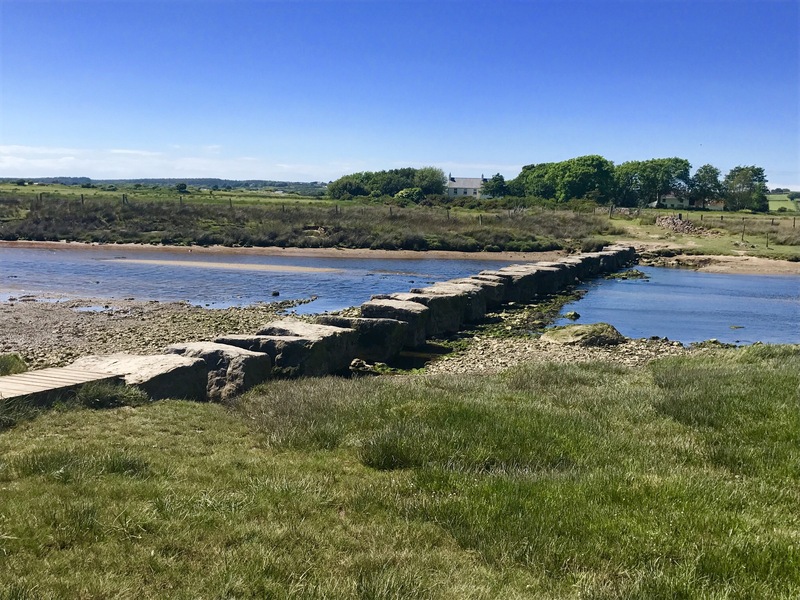 There is a path that starts about 150 m from the car park that leads directly to and from Red Wharf Bay. 3. Cemaes Bay parking – The car park is right on the beach and has toilets and a small kiosk for refreshments. There is a charge for parking so bring some spare change. It’s a good place to leave your car to start or end the walk. Cemaes also has a couple of good pubs and a few decent shops if you need to pick anything up. 6. Amlwch Coop –The bus stop is right outside the Co-op in Amlwch so it’s easy to find. It has a cash machine, and all the usual things you would expect. Good place to stock up before the walk to Cemaes or Moelfre. 7. St Patrick’s Church – just a short walk along from Cemaes Bay you will come to St Patrick’s church. It’s a lovely old building that was established after St Patrick was shipwrecked here. If a volunteer is around on that day they will tell you about the history and if you desire you can buy a souvenir. 8. The Stepping Stones – Down near Llyn Rhos-ddu are the famous stepping stones that stand about 3 feet proud of the river you are crossing. Take care as the spaces between stones is wide and some walkers may need assistance. 10. Beaumaris hill climb – Coming out of Beaumaris is a pleasant walk along the shoreline but be aware that there is a very steep hill to climb up towards the golf club. Don’t try and walk along the Main road to Menai as the footpath finishes about half a mile along the road and it’s very busy. So take your time and walk up the hill. 13. 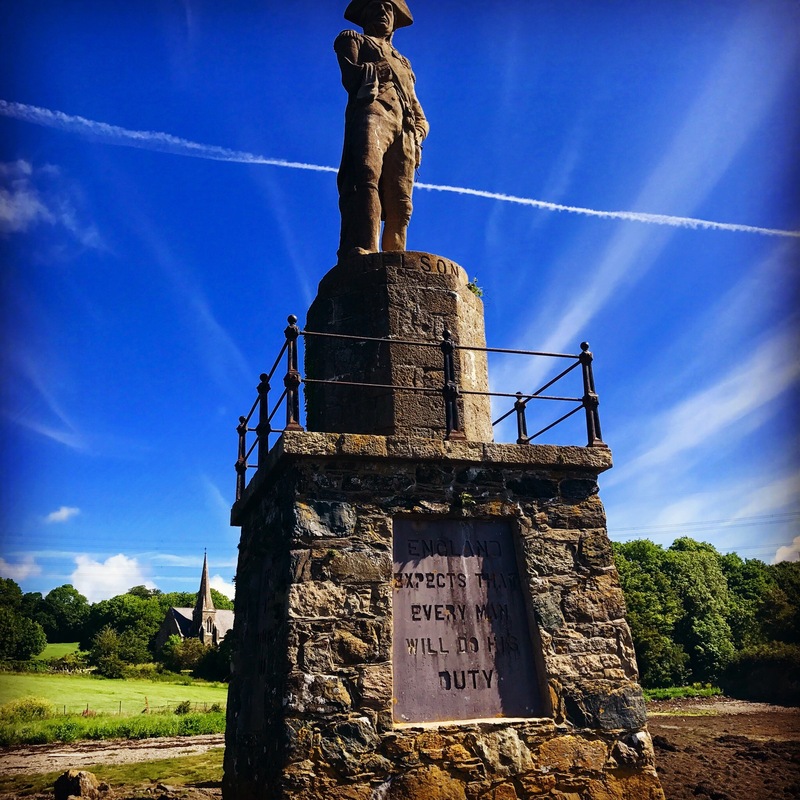 Lord Nelson – Walking on the section from Menai Bridge to Newborough Forest you will go under the Britannia Bridge and and follow the path through St Mary’s Churchyard to the shoreline. Here you will find a tremendous statue of Lord Nelson over looking the Menai Straight. It was erected in the 1850’s as a marker for ships by Lord Clarence Paget, son of the Marquis. 17. 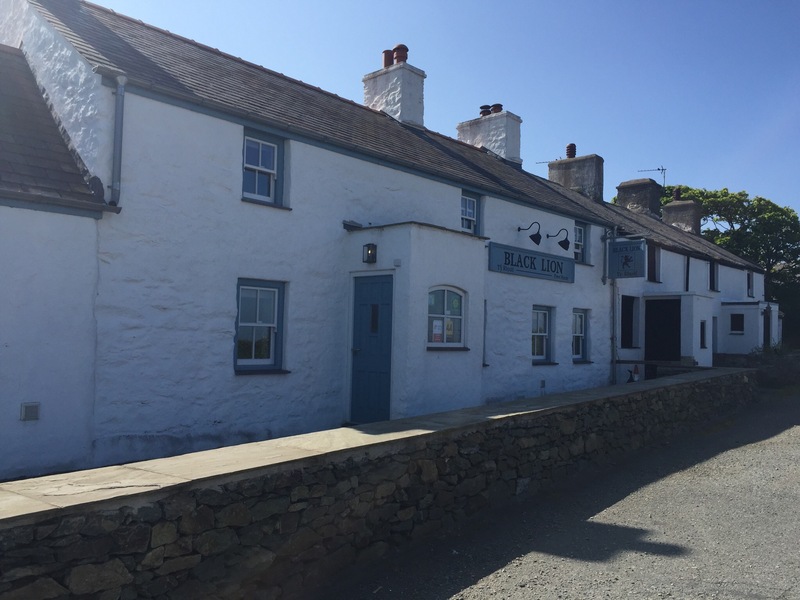 Moelfre car park and bus stop – There is a free car park in Moelfre at the top of the village and toilets. Don’t go to the one on the beach as that’s payable. The bus stop is right opposite so that’s another benefit. 18. Hat and suncream – Don’t forget to bring a hat a sun cream as the sun can be intense even on overcast days. Make sure you have these or learn at your peril. Unfortunately I know from experience. I hope you find this useful. If you have any comments or amendments please get in touch. 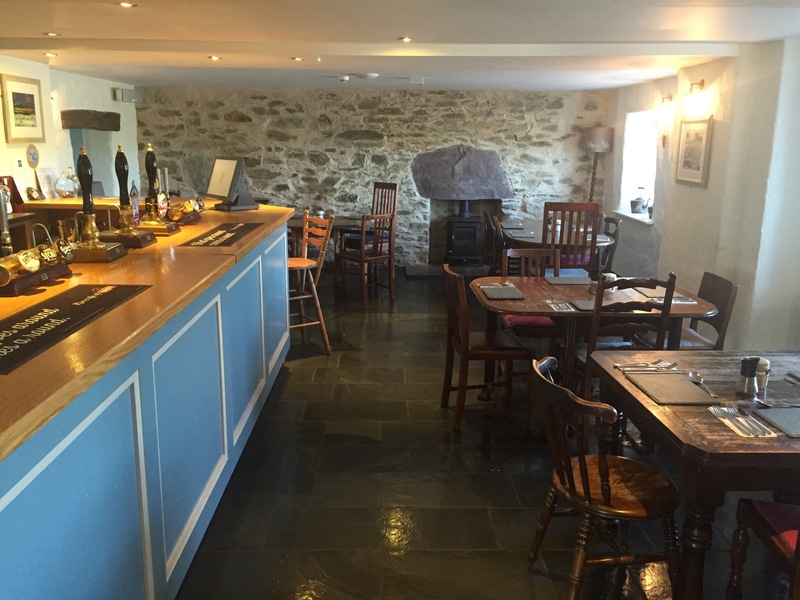 Food is great at the Kinmel Arms and one half is dog friendly too, if you have a pooch with you as you walk the coastal path! Great that thanks. I’m planning to do it next year in sections. There’s a single tent glamping site just off the beach on Pentraeth side of Red Wharf Bay. Very comfy. Very secluded and private. Cheap at £50 per night. Amanda is a great host too. Perfect stay while walking the path.